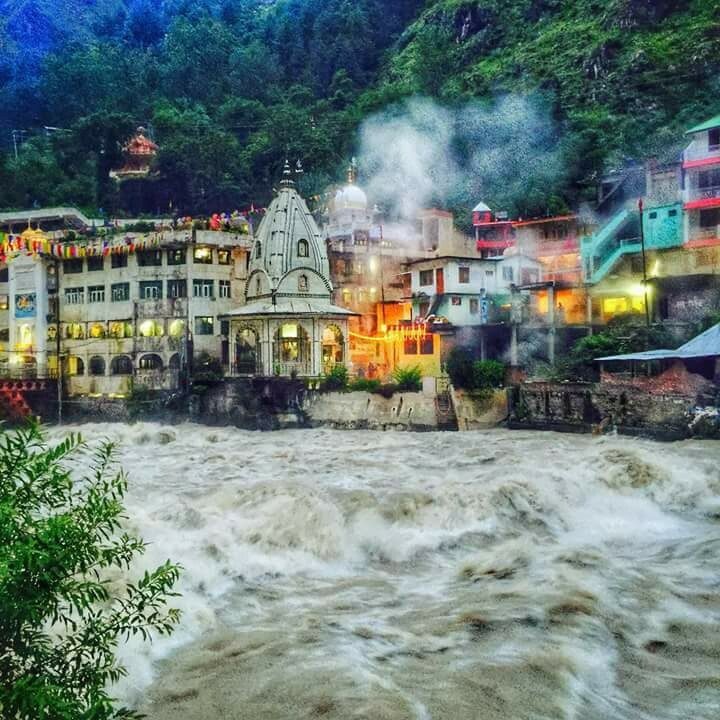 The famous sikh pilgrimage site Manikaran is located 4 KM ahead of Kasol at an altitude of 1760 meters above mean sea level.The gurudwara can accommodate about 4000 people at a time. Here free food (langar) is available round the clock.The food is cooked here in big vessels by immersing them in the spring of hot water. 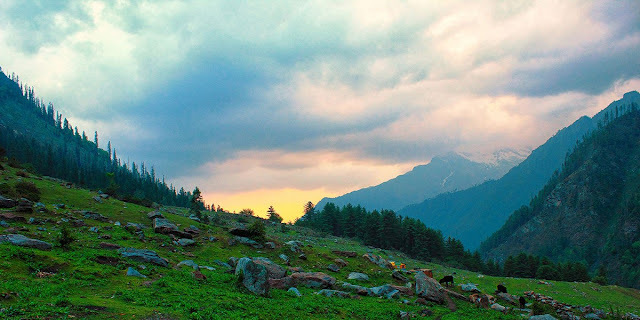 The legend of states that while roaming around, Lord Shiva and Parvati, once chanced upon a place that was surrounded by mountains and was lush green. Enamored by the beauty of the place, they decided to spend some time there. It is believed that they actually spent eleven hundred years here. When lord Shiva and Parvati were walking in the valley, Parvati dropped one of her earrings. The jewel was seized by the serpent god, who then disappeared into the earth with it who surrendered the jewel when Shiva performed the cosmic dance, the Tandava and shot the jewel up thereby giving rise to a flow of boiling water.